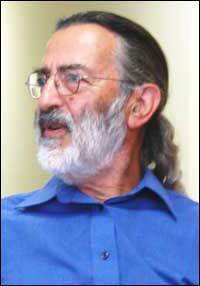 Joel Potash, MD, is Professor Emeritus of the Center for Bioethics and Humanities. He is also Clinical Professor (voluntary) in the Department of Family Medicine. He sits on the University Hospital Ethics Committee. Dr. Potash practiced family medicine in Cazenovia from 1966 to 1975. He served fulltime on the faculty of Upstate's Department of Family Medicine from 1975 until his retirement in 1993. In addition, he was medical director of the Hospice of Central New York from 1989 to 2001 and has practiced medicine at the Onondaga Nation Health Center for more than two decades. Dr. Potash taught Dying and Death in American Literature, and AIDS in American Literature with Deirdre Neilen for the Consortium for Culture and Medicine. He currently volunteers at the Poverello Free Clinic as a preceptor at St. Joseph's Hospital Family Medicine Residency, and as a teacher of palliative care.